So, late last year my Mac Powerbook pissed me off for the last time. That coupled with another hypocritical commercial from Apple means I bought a new laptop. The Mac was sitting around, doing nothing as an identify theft liability after 3 going on 4 years of computing history. I finally decided I could donate the laptop, but without the hard drive. I began with needing to open the case. 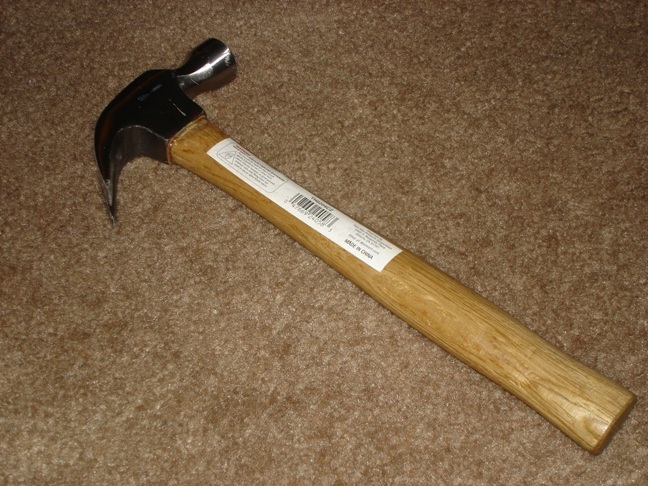 The screws were designed with such a small head that I had to give up and use a special screwdriver. Next, I had to delicately extract the hard drive. I didn’t stand a chance at finding and releasing the screws there. It took hours of hammering and prying. 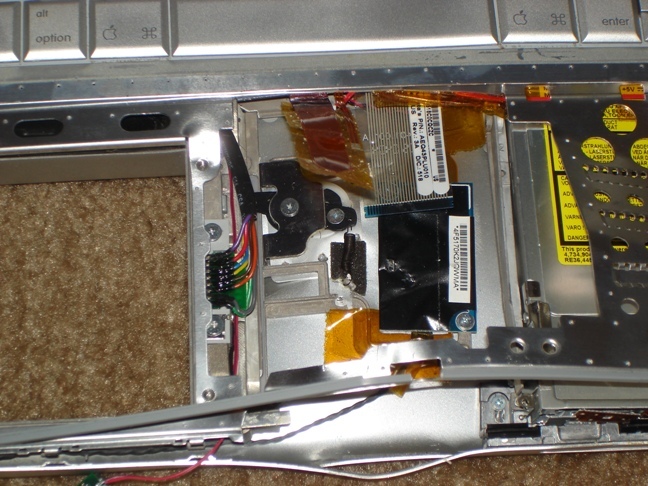 For future reference, the hard drive is located inside a Powerbook in this location. 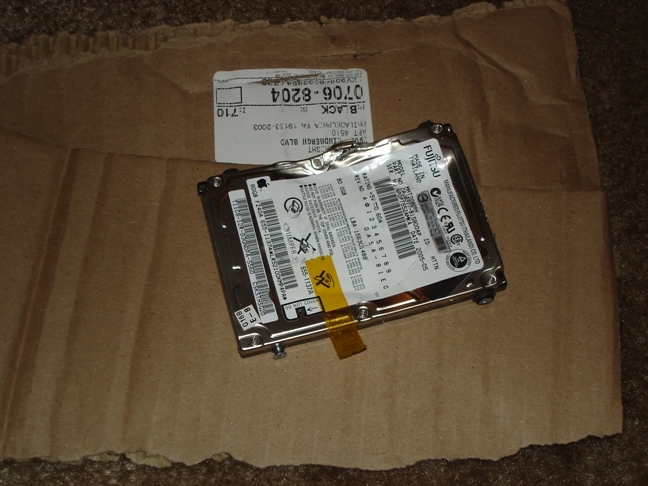 The hard drive looked like this. There was a hole in the side and what appeared to be glitter was falling out. 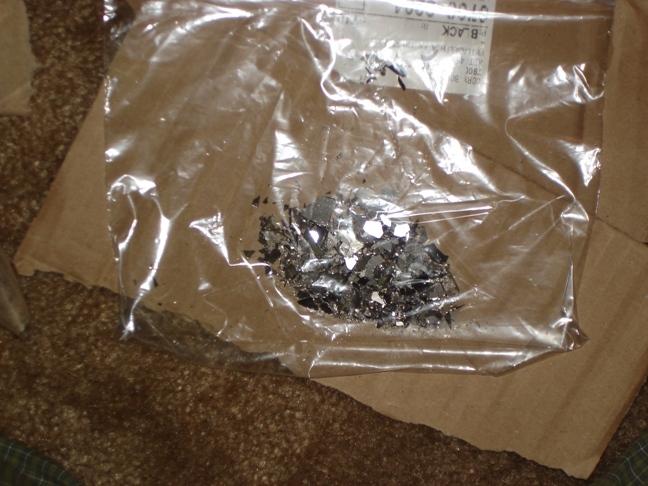 The “hard” part of a “hard drive” is actually more like metal-coated glass, and shatters during a strong impact. I pounded at the hard drive to get as much of the platters out. It was fun stress relief, and definitely keeps your credit card information safe.